The 30 Day challenge of using ‘mobile devices in business’ has really motivated me to write on a regular basis as I have a defined topic. It was great to read feedback from yesterday’s blog post and has given me the momentum to keep going. What a beautiful day in Melbourne and too nice a day to be stuck inside. So, lots of things to do and get finished. 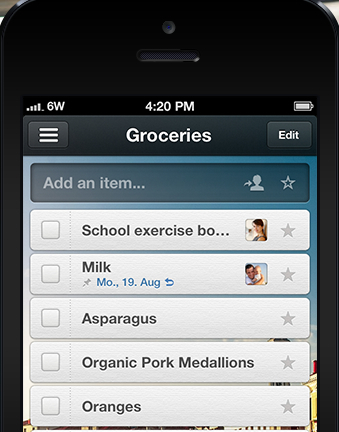 The day started off using Wunderlist which I have just started using for my To-Do lists. I started using this app as I can end up having multiple lists scattered all over the house and end up creating a paper trail. Often, I do create lists the night before as I find my mind is less likely to wander before going to bed if I have already created a list. It also handy having this app when going out grocery shopping (vital so I don’t buy any more items than I need to). 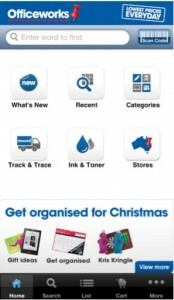 Even Officeworks has an app! With my family out of the house and some time to myself, it’s off to Officeworks. I recently uploaded the app to my iPad making it much easier to have the catalogue in the palm of my hand. They have a policy of matching the prices of the same item (so I look up on my iPad the exact item that I want with a cheaper price from somewhere else) and it’s matched. Having an iPad that has 3G access makes running your office anywhere, anytime a reality. At the moment I don’t have a smartphone, in fact up until this point I never have. Most people are absolutely shocked that a ‘Tech Coach’ doesn’t have one. The reality is that with my iPad I get much better value with my data plan than I would if I had an iPhone. I can still Skype, run my business from my iPad without it impeding how the business runs. My phone can make calls, take photos and send texts- perfect! I must admit I do prefer the photos app on iOS7 as I can find my photos much easier as well as having the ability to edit them on the spot. I have just entered a competition with MYOB, #ShopSmallAU to win $10,000 for Tech Coach HQ. (Hint: I would love votes to help me win this prize). Being in a startup business can mean that certain things just have to pass by due to cost. I am really looking to get into the speaker market on a international scale and need to travel and this grant would enable that (plus help buy some tech gadgets that I need!) Now, the photo isn’t the best quality, but I did edit it with one of the apps that I love. Photosynth, Snapseed and recently discovered Camvas are fantastic tools to use for photos on your iPad once you have taken them with the iPad Camera or imported them. Another brillant app is WordFoto where you can overlay words with your photos. If you are looking for some more creative apps, check here at 100 best apps for designers. 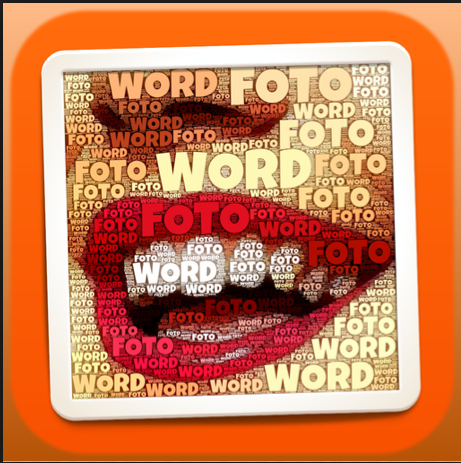 What are your favourite photo apps? Share them with @megsamanda or on Facebook. Till tomorrow’s blog, don’t forget to take things ‘one byte at a time’.